There were a lot of tears. I felt resentful. I felt proud. I felt like a huge phony. I wanted to scream. I wanted to burn it all. I wanted everyone to see my work. I felt important and insignificant in the span of the same day. I know it seems ludicrous to be so worked up over something that in the long run doesn’t make a huge difference to anyone other than me and the family that depends on my gainful employment. This should be on par with a yearly performance review, but somehow it feels like so much more than that. A group of senior librarians, senior faculty, and administrators are going to look at a portfolio that is meant to distill the last 6 years of my life into a series of professional accomplishments. Yes, there is context thanks to the personal statement included, but I sometimes want to scream: There is more to me and my life than what is in this portfolio! During these six years I’ve grieved, been a new mother, gone through surgery, worked with my partner through his numerous health challenges, been a friend, a wife, a daughter, and a parent. I’ve been a person, not just a librarian, but there’s no room for that in the tenure portfolio. Maybe that’s why so much of the emotion makes its way into the process; there is no room for it in the final product. 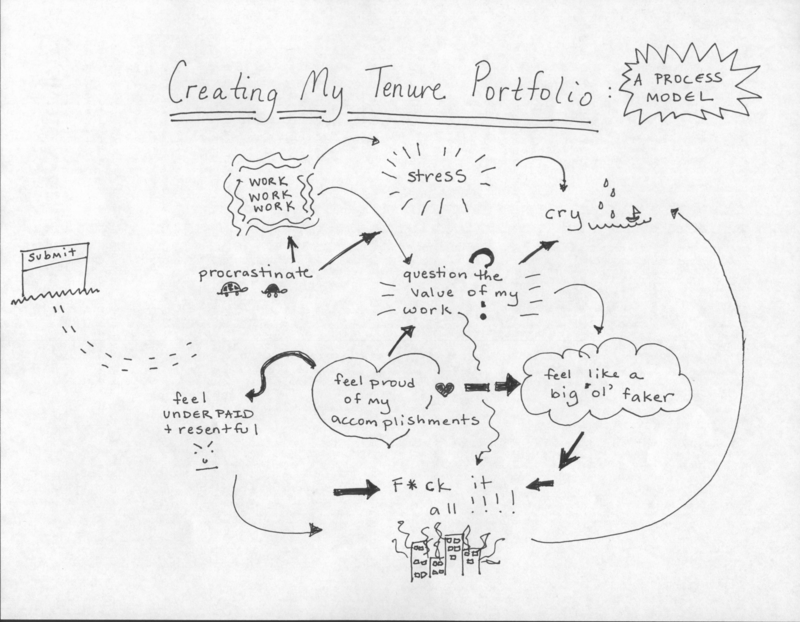 I’m writing this post in part to make sense of my intense emotions over the past few months, but also to let you know that if you’re riding the tenure portfolio prep emotional rollercoaster, you are not alone. 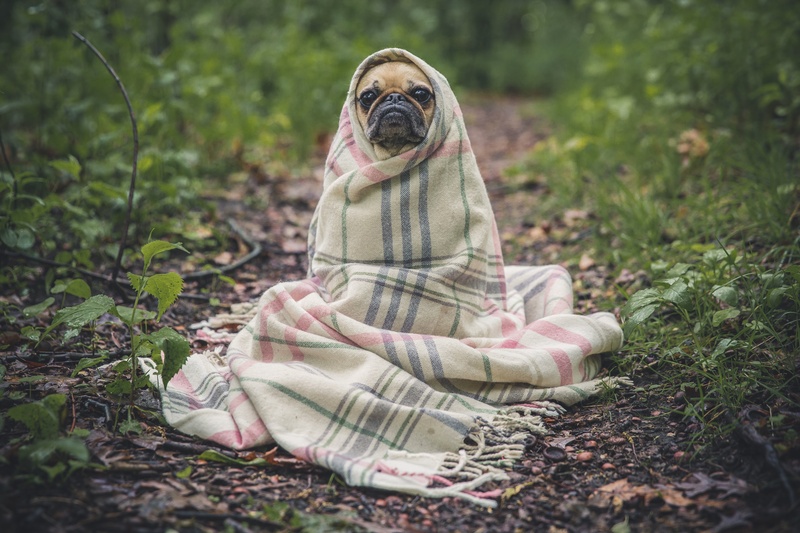 I think any activity that demands that you share a significant part of yourself–mind you, out of context from the rest of your life–to be judged by others is a recipe for tears, laughter, pride, and anger (among other emotions). It’s an act of emotional labor that separates the you of your work from the whole you, and it is hard. So I guess my only words of advice would be a rip off of Dan Savage‘s good sense advice: If you’re working on your tenure file, go ahead and feel your feelings. Feel the f*ck out of your feelings, and then just do it. I’m proud of you. Oh so true. I found that my introduction was surprisingly emotional to write and I still can’t shake the feeling that I’ve left out some of the most important stuff – the non-librarian stuff. Add that to a portfolio format intended for teaching faculty which doesn’t fit very well for librarians and you have a big, old pile of feels. I’m proud and I’m scared and I’m hopeful and I’m excited and I’m a whole lot of other things, too. Thanks for the vote of confidence! Yes! It’s such a rough exercise trying to fit librarian work into a teaching faculty mold. Doesn’t quite work. I’m sure your portfolio is stellar!